Anyone who has ever been involved at a fairly serious level in the world of sport will have come across nutritional supplements of some kind. These can range from simply having electrolytes in your drinking water to practically constructing entire meals out of various powders and vitamin tablets. There are many arguments for and against the use of supplements, and to what extent they should be used, and to what extent they are even useful. The proof, as they say, is in the pudding, and the bottom line is that many of these supplements work… but is that the whole story? Obviously I wouldn’t be writing an article about it if there wasn’t a story of some kind to be told here. As with any good investigation, the golden rule is to follow the gold, so to speak. The big money in supplements is to be had in the US market and, not surprisingly, most companies that deal in supplements are based in the US and primarily operate out of there. As a result, most of the guidelines concerning regulation of the industry are shaped by what happens regulations-wise in the US. 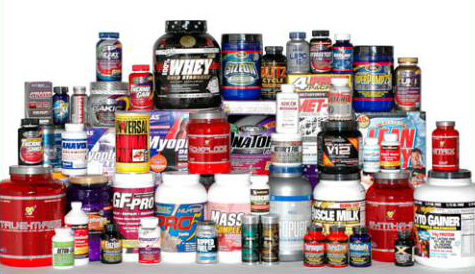 How do we regulate supplements? I guess it comes down to what they are. We eat them, so I suppose they are food. You can’t really call vitamin tablets “food” though, so maybe they could be classified as medicine. Of course, they’re not really medicines, and I’m sure the companies that manufacture them don’t want to go through the very arduous and rigorous process of having to get them approved as medicines. The truth is that in most jurisdictions these supplements are classified as neither food nor medicines, and as a result they are not subject to any of the regulations that food or medicines are subject to. Is this a problem? It can be. The attitude amongst EU regulators is similar. Nobody really cares about regulating the supplement industry. The saying basically goes “if you get sick from this stuff, it’s your own fault, nobody is telling you to eat it”, which is true to an extent. It isn’t really food because nobody needs to eat it, and you never eat it in the same amounts or frequency as food. What this basically means is that supplement manufacturers have no obligations whatsoever concerning the quality or purity of what goes into the supplements, and this can have far-reaching consequences for those who use them. Take for example a protein powder. People who do a lot of resistance training (like weights) take protein powders after their workouts because it aids recovery, these powders typically being absorbed by your body much faster than just eating a few chunks of meat following a workout. You look on the back of the packaging and check the per-100g content of protein and are satisfied that you are getting adequate protein to recover from your training session. Let’s look deeper though. How is protein measured? Protein is typically measured by measuring the nitrogen content (because proteins contain nitrogen) of food. There are ways to artificially increase the amount of nitrogen in food in order to give a higher figure for protein content. Thanks to the Chinese Milk Scandal, we are now familiar with melamine. Melamine is a chemical that is used in fire retardants, furniture coatings, and plastic dinnerware – it isn’t edible. Mixing small amounts of melamine into milk allows the milk to be thinned out considerably while maintaining the illusion of a high protein content. Of course, there is no extra protein, and when the melamine gets into your body, it pairs up with cyanuric acid (melamine is a base) and forms crystals in the kidneys. Ever heard stories about bodybuilders having trouble with their kidneys because of the protein powder? Melamine is probably the reason why. The LD50 for melamine is actually quite low, but if you ingest it regularly, it will accumulate faster than your body is able to flush it out. Obviously, it will have a greater effect on infants and small pets, which is how the original Chinese Milk Scandal broke. Putting melamine in food is completely illegal of course, but since supplements like protein powder aren’t technically classified as food, there’s nothing to stop them from doing this, except perhaps the occasional law suit. Of course, this is just the tip of the iceberg. A consumer reports article last year reported finding heavy metals in many popular supplements. Of course, all of the supplement companies implicated came out with scathing attacks on every aspect of the article, and tried to blur the issue by comparing their products to certain kinds of shellfish (which are known to contain similar amounts of heavy metals). These comparisons are absurd, of course, because nobody consumes shellfish in anywhere near the amounts or frequency as people consume protein powder. While it is true that the amounts are quite small, and for most users insignificant, it does highlight the fact that these companies are not subject to any real regulation or quality control aside from their own. In addition, (organic) contaminants have been known to react with things in our stomachs and turn into substances which appear on the doping list. Whether this was deliberate or not (look up “nandrolone contamination”) is difficult to say, but the outcomes of such contamination are perhaps more immediate and consequential to a competitive athlete who may end up serving a ban through no fault of her own, than the long-term consequences of lead or cadmium poisoning. So what do we do about this? We like the convenience of these drinks and bars, ready for us when we finish a workout to aid our recovery, yet we are faced with uncertainty about contaminants, benign or otherwise, in these supplements. Large government bodies generally don’t care for the issue because it really only affects a small portion of the population, and taking supplements is entirely voluntary – it’s not like food, where you have to eat it all the time (and governments have enough trouble regulating the food industry). We certainly can’t trust the word of the supplement manufacturers, because they’re hardly going to bad-mouth their own products… So do we just have to put up with this big fat caveat emptor? I have an idea… we could start some kind of online index where the community of elite athletes and coaches submit their favourite supplements (and possibly donate some money to pay for the lab time) and we test them independently. The impact of the consumer reports article clearly shows that public opinion counts for a lot in this industry, and building a publicly accessible lookup-list of supplements with independent testing, and the endorsement of the very people who need this oversight the most would be an invaluable resource. I’m happy to lead this at the start, being something of an athlete as well as something of a scientist (as well as having a small amount of experience with building websites). I’m envisioning that it will become a little bit like dpreview.com has become for the digital camera industry. A disturbing read, and an interesting idea – I’m curious as to who will have access to the equipment required to properly analyze the products. Also – how would you prevent the manufacturers themselves from posting multiple rave reviews with favorable “lab results”? Luckily, my girlfriend is just finishing her PhD in analytical chemistry on food contact materials, and has a lot of friends in the chemistry/toxicology world. Getting lab time isn’t difficult, but it can be very expensive. Preventing manufacturers from making their own false claims could be more difficult. If the proposed website ever grew to be as big as dpreview, then we wouldn’t have to worry about anyone else’s claims. It’s about building credibility. I think a bunch of olympic gold medalists giving it the o.k. would be a start… but I’m open to any other suggestions. First of all – which Olympic gold medalist would ever sponsor lab results from an unknown source? I think that crowd-sourcing in this case would result in a mix of make-believe lab results and astro-turfing from the manufacturers with an occasional actual lab-result thrown in. The dp-review model would work much better here: People are much more likely to trust one independent and consistent source than lab reviews by “some-guy”. And you seem to be in the correct position to start such a site. If I were you, I’d start looking for sponsors unrelated to the supplement manufacturers to fund the required lab time. Business ties can be convoluted, so it might be tricky but I’d start with sporting gear manufacturers. yeah… the more I think about it, the more I think the dpreview model is the way to go. But it takes a lot of time and money to maintain a site like that. Just from reading Boaz’s first few lines I feel the following information is needed for those who are not within the community of elite athletes. They definitely wouldn’t trust sponsored lab results from an unknown source, for sure. But credibility is not really the first problem here, most elite athletes aren’t actively engaging themselves in reading reviews on supplements at all. Most of the athletes at the highest levels of sport are asking their coaches, doctors, trainers what they should be taking because there is a sense in the athletic community that supplements from the private market aren’t worth the risk of a positive. And within this community as you go higher in terms of success the knit gets tighter and levels of trust between peers are higher too. The few private supplement that are in use here are not there because there was a good review on the internet, they are there because someone else has used them and not tested positive while showing good results. The AIS(Australian Institute of Sport) has a multiple tier rating system, with verdicts on supplements ranging from “they are effective and our athletes take them” right down to, “they are not effective and questionable”. But still these tests are done on supplements created in a government funded lab for use at the AIS. Not on the supplements from the private market. But the point I am trying to make here is that the idea Yeow has could work specifically because of those reasons. That the supplement use and awareness at the elite level, where purity matters more, is based more on the peer opinion and observation. So what this proposed website would ultimately act as, is that first person that takes the powder or the pill and gets tested negative, races well etc. without bad side effects. It’s just that first person is now some trusted lab equipment. This website would not grow because of what it is saying. It would grow because the people that are running it are trusted within a community where, when it comes to what you put in your body, trust is the best thing you have to rely on when it comes to supplements from the private market. And as soon as the website became more than just some(trusted) guy and his lab equipment, then it would immediately fail as a credible source in the higher athletic community. With the exception of if it would be taken over by an organization like WADA. But they would not do that BECAUSE there are so few regulations on supplements that they cannot control and they can’t give the go ahead on something that could later change and cause a positive test.